High tech takes over the Big Brother house with a Silicon Valley theme. 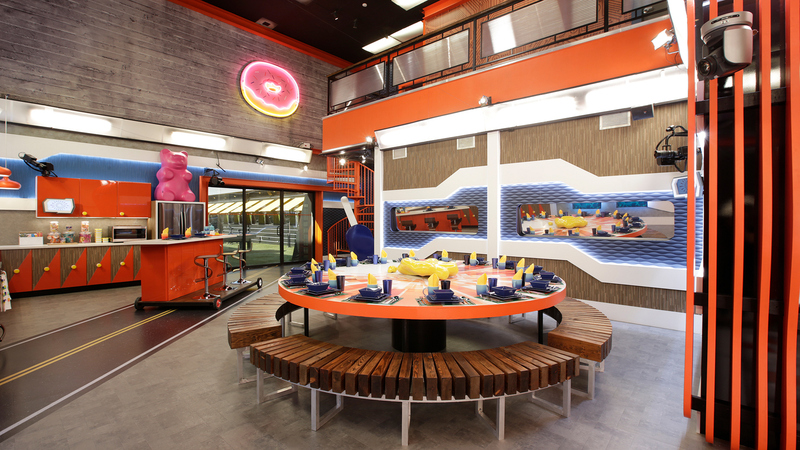 You've met the all-new Houseguests, you've read all about the high tech twist—now it's time to see the Big Brother 20 house! Building on the themes of interactivity and collaboration, this season's house is inspired by the fun, colorful, and creative interactive spaces on tech campuses around the globe, with a dynamic touch of innovation in every room. When the Houseguests first enter, they'll find themselves under the careful watch of a 4' tall fiberglass gummy bear. Even better, the kitchen features a unique island on casters that allow the countertop and the stools to move from side to side. Click through to see what else the new Big Brother house has in store for the landmark 20th season.